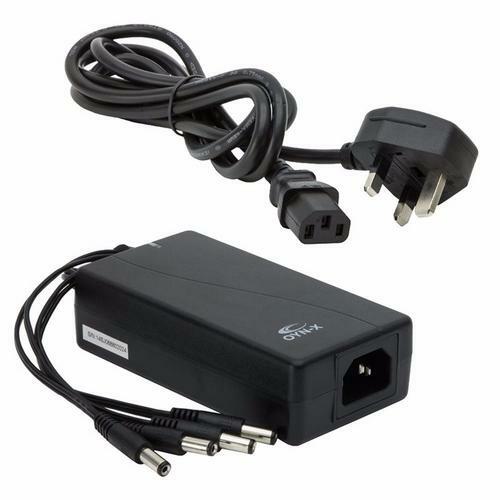 This 12V 5A 60W Power Supply Unit PSU with 4 DC Adaptors by OYN-X is ideal for powering CCTV Security Cameras. 5 amps provides plenty of power for larger cameras with more powerful Infra-red illumination features and PTZ functionality. It easily copes with less demanding cameras such as the internal domes or smaller day/night products. Bought to replace the adaptor supplied with the home security. Easy enough to swap out, but the pleasing thing was being able to get the same make/model. This is a great product and installs and works perfectly. I recommend this to anyone. Buyer beware of the electrical connection to your house outlets so you order the correct one. By mistake I got the UK plug.